after farhan’s nika ceremony, joost, helena, zoe and i escaped town and drove about an hour southwest (i think) to the shore. 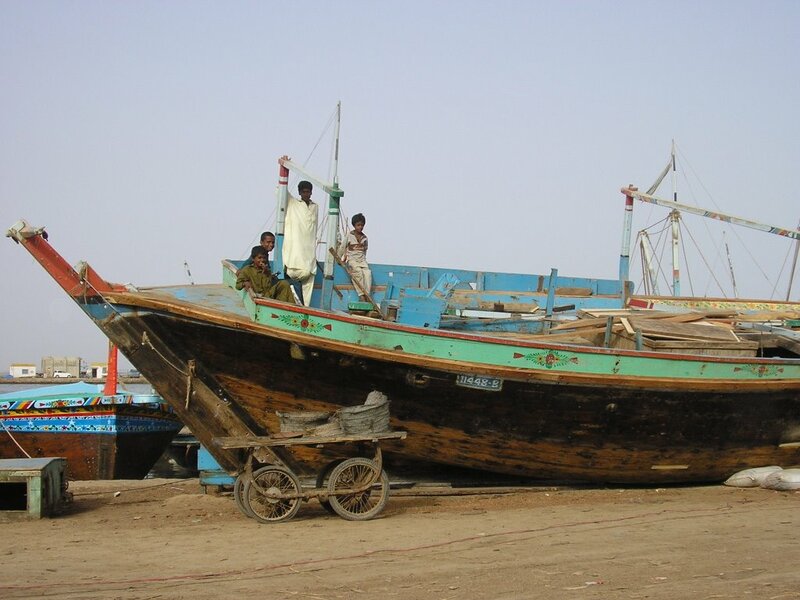 we spent some time in a fishing community with men working on beautiful boats. we even stayed for tea, which was delicious. 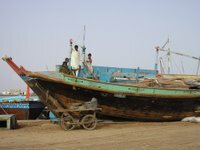 this was probably one of the least touristy places near karachi one could find (not that there are lots of western tourists anyway) and i was loving it. 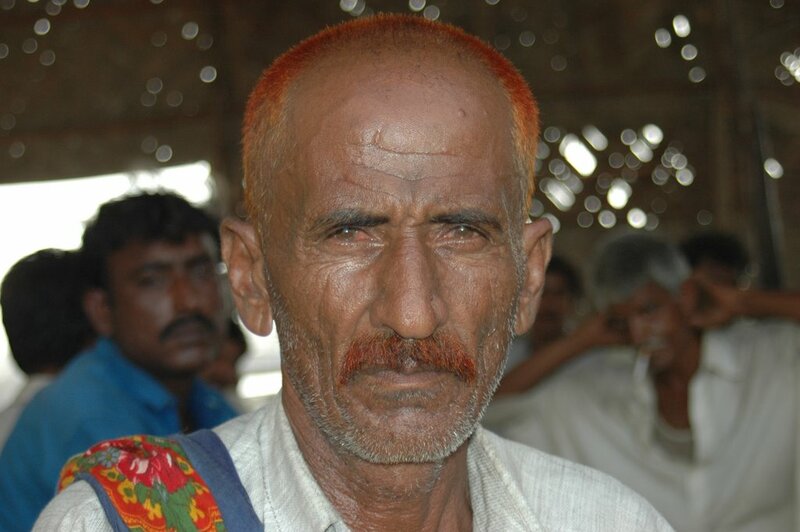 some of the men and women use henna in their hair to give it a red color. in this case, the fisherman was likely trying to emulate one of the prophets. at least that’s my guess. some men wear beards to be like certain prophets as well. if you’re following a prophet closely, you apparently follow his grooming habits as well. unfortunately, this was the day i started getting pretty ill. i don’t know if it was the heat or the food or what… but i completely lost my appetite and ate nothing but tea and crackers for the next two days. sadly, i missed two of farhan and roohi’s ceremonies because of it. here is a pic of roohi at the mehendi (henna) party. talk about glowing! wish i had been there. instead i was at (farhan’s) home writing letters and listing to podcasts.